2018 Jake Morin Commits to Embry Riddle Aeronautical University! 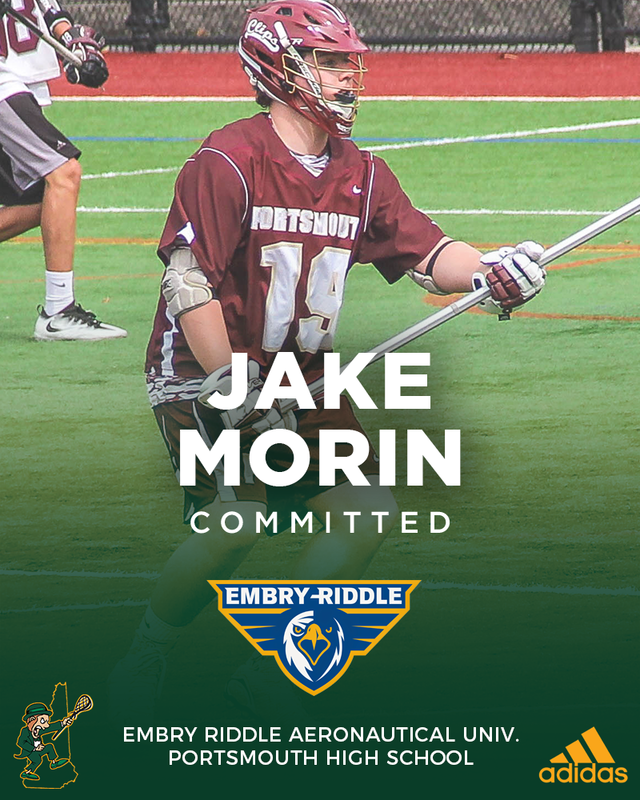 Defenseman Jake Morin, of Portsmouth High School, recently announced his commitment to study and play lacrosse at Embry Riddle Aeronautical University. Embry Riddle Aeronautical University, the world's largest university specializing in aeronautics and aerospace is located in Daytona Beach, Florida. The Owls are a Division II athletic institution and compete in the Sunshine State Conference. The Eagles, a new program, will compete in their first NCAA season during the 2018 spring. Morin will play under Head Coach Spencer Wims, an alumni and graduate of D2 powerhouse, Limestone College.